Six-time runner-up Jimmy White failed to make it through qualifying for the World Championship after a 10-4 defeat by Ian Burns in the second round. White, who last appeared at the Crucible in 2006, keeps his place on the pro tour after finishing in 61st place, within the top-64 threshold. But fellow veteran Steve Davis has lost his tour card and must now attend qualifying school to retain his place. 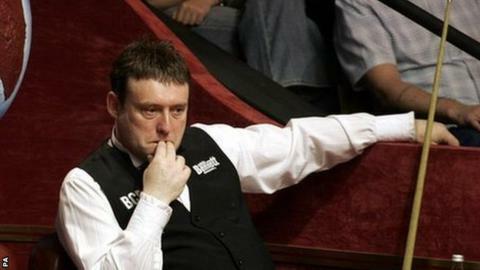 The 56-year-old was defeated 10-8 by Craig Steadman in the qualifiers. White, 51, last month reached the last 16 of the China Open, where he was defeated by world number three Mark Selby. It was the furthest he has progressed in any ranking event this season. Meanwhile, young Belgian Luca Brecel defeated Yu De Lu 10-7 to reach round three, where he will face Tom Ford, while Indians Aditya Mehta and Pankaj Advani both progressed. Former champions Mark Williams, Ken Doherty, Graeme Dott and Peter Ebdon all play in next week's final qualifying round for a place at the showpiece event in Sheffield.